Back in Washington for the summer, Frances Tiafoe is in the top 50 for the first time and settling into the rhythms of life on the tour. WASHINGTON — Frances Tiafoe’s still getting used to this. 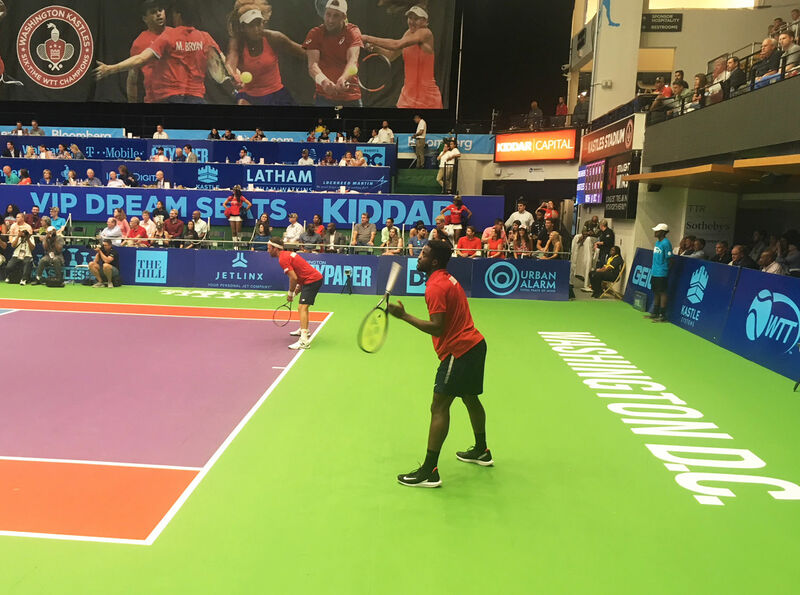 The Washington Kastles have employed plenty of star power over the years. But Venus Williams isn’t here yet. The Bryan Brothers won’t arrive for another night. On Wednesday, the marquee spot belonged to Tiafoe, the anchor name in the pre-match introductions, the hometown favorite and, really for the first time, the favorite on the court itself each night. He’s not quite a star just yet — he just made the third round of a major for the first time, and with it, cracked the top 50 in the world, sitting at 45 this week — but he’s the main event. He’s the guy who the team and the crowd will look to in the final event of the night, men’s singles, to win the match for the team. He’s the hometown favorite, playing just 20 minutes from his childhood home. He’s also just trying to relax a bit while he’s here. He got a week at home before the Kastles’ season kicked into gear on Sunday, and will have another week to breathe before Citi Open begins on July 28. 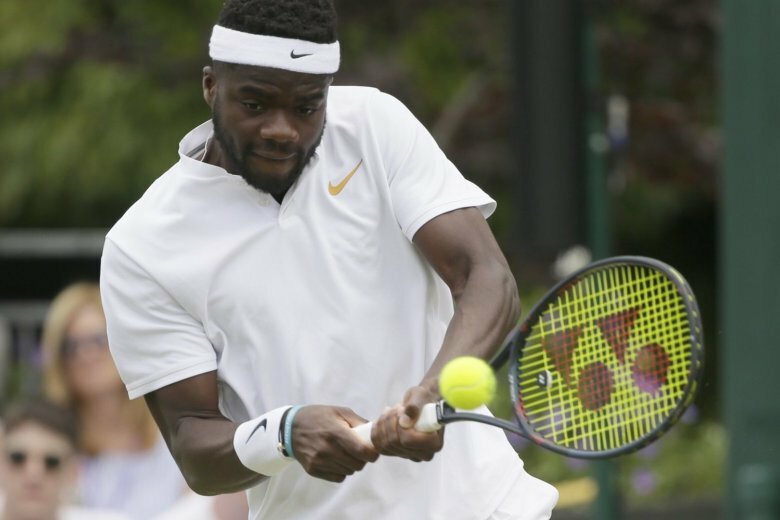 Tiafoe skipped the event in Rock Creek Park last year, but is back with designs on making a deep run. He’ll still be a massive underdog to win it now, at age 20, but it’s a championship he has his eye on. Tiafoe learned earlier this year what means to win tournament on tour. After a rough start to his year, he was languishing at 91st in the world, suffering first-round exits in his first three tournaments of the season. But at the Delray Beach Open, he got a second shot at his idol Juan Martin del Potro, who had beaten Tiafoe in straight sets at the Australian Open, and he made the most of the opportunity. Tiafoe used that springboard to fell three more higher-ranked opponents, including fellow young gun Denis Shapovalov, en route to the title. For a young player feeling the pressure from the outside world weighing on him, he credits freeing his mind for a healthier approach that keyed his run. “I was struggling in the beginning of the year, but I found comfort and just joy of just playing again, taking expectations off myself and just playing the game,” he said. Part of that comfort is just getting used to the rhythms of professional tennis, where every week means a different city, often a different country, different restaurants and hotels and time zones, even if lots of the faces around you are the same. He’s got friends among his competitors, especially Nick Kyrgios and Jack Sock. Now in his second full year on tour, the experiences aren’t all happening for the first time. At least when he lands in the next city, he knows where to get a bite to eat. Tiafoe made another run to the finals of the Millenium Estoril Open in Portugal, on clay, taking out 11th-ranked Pablo Carreno Busta in the process. Then he made his run to the third round at Wimbledon and looked to have a date booked with Novak Djokovic in the fourth round, taking the first two sets from Russian Karen Kacharov, before a bout of acid reflux threw him off his game and he lost in five sets. But his progress still meant he reached another goal, cracking the top 50 for the first time. But for now, for the next couple of weeks, he’ll enjoy not focusing too hard on those 44 guys in front of him. He’ll just focus on being a 20-year-old enjoying his summer, hanging out on the Georgetown Waterfront, watching movies, going bowling and go-karting with his buddies. He even got to go to the MLB All-Star Game on Tuesday. He’ll get back to the grind in a bit. He said he’s improved his preparation, focusing less on himself and more on his opponent, probing weaknesses and soft spots and worrying less about how things look than the final result. It’s worked pretty well so far. That confidence is back, in spades. Whenever the breakthrough comes deep in a grand slam, you can be certain Tiafoe will be ready for it.